I love shows like that, however, certain people love “real” dramas. Completely understandable. Sometimes, I can’t just watch the Big Bang Theory. Sometimes, I’m in the mood for some Criminal Minds, the Mentalist, Castle, or even the Following. The Golden Boy is the new serious police drama. Let me explain the story. 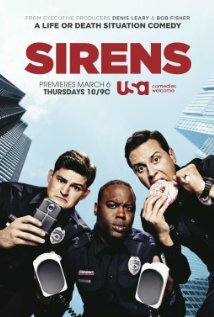 The first episode (the Pilot) begins with rookie cop Walter Clarke (Theo James) and his partner responding to a jewelry store robbery. He quickly notices a getaway driver, and a shootout ensues. His partner is shot above his vest, and he is shot directly unto his vest. Now, I don’t know how well you know your bulletproof vests, but while they can stop bullets, they will hurt. Like Hell. As in, it can even crack ribs and cause concussions from the impact. So, for a ‘green’ cop like Walter to get up immediately is quite awesome. I don’t think that the writer was inaccurate in doing so, but I think it was a normal response, considering the adrenalin rushing through the cop’s veins… Plus, it quickly set him apart as a “not so” ordinary cop. He kills the getaway driver and the robber suddenly walks out of the jewelry store with a hostage. Calmly, Walter Clarke shoots and kills the man without injuring the hostage. Walter then begins performing CPR on his partner. It quickly fast-forwards seven years from the present to Walter Clarke in a fancy new office being interviewed by a journalist. The journalist asks him how it all started, and the show quickly rewinds back to after he finishes CPR. Long story short, he’s a hero. He’s been given a golden police badge, he’s gotten accommodations, and has promised by the Deputy Commissioner any position as Detective in any department. Guaranteed. The Deputy begins by saying that Narcotics would be a good starting point. To which, Detective Clarke promptly interrupts him and proclaims his wishes to be in the Homicide Task Force. Everyone in the Task Force are legendary detectives. The youngest one of them is at least a decade older than him, so naturally, everyone hates him and doesn’t want to work with him. Now that that’s over with, let’s talk about the characters. Detective Walter Clarke has a sister whom he used to steal bread for (since they were quite poor when they were younger) and she, much to his dismay, moves in with a drug addict. He’s portrayed… I have to say, he is one of the most human characters I’ve encountered in a while. Let me tell you. Most shows take at least a season to make each and every character seem more than a cardboard cut out. It’s not even poor writing if it does. It’s natural. However, like any other human, Walter has faults. He is cocky and arrogant at times, but he’s willing to do whatever it takes to help his sister. When push comes to shove, he does the job, and though he is very ambitious, he does his job well. He’s like what Shawn Spencer from Psych would have become, had he become a cop instead of a psychic detective. Speaking of Psych, Walter Clarke (Theo James) has a grizzled detective as his partner. Detective Don Owen (Chi McBride) is a great counterpoint to the ambition of Walter. Where Walter knows nothing about the subtleties of interrogation, Don Owen is a master at it. He points out that the “top” detective of their precinct is making a big mistake in an interrogation, and he is correct. He is quiet, but powerful. Is he a good detective? He doesn’t have the raw observation skills that Walter possesses, but he has decades of experience and is very keen on facts. He quickly catches unto Walter’s schemes and easily sees through his lies. Is he caring? He is working on an eleven year old cold case on his off time. He does this because the victim in question was killed on September 11,2001. He was close to finding the killer, and then the world fell apart. Each year, the man’s widow visits him to see if he’s got a new lead. And he’s still working on finding a killer from over a decade ago. The Golden Boy is a unique show. You already know that the main character, Walter Clarke, will become successful. Yet, it achieves a level of suspense in showing you all the faults of the character. It makes you wonder how exactly he got to where he is. That is some achievement. You see, suspense automatically fades away if you know that a person is going to succeed, but by emphasizing all his mistakes and by leaving a few hints as to what will happen next, it becomes just as, if not more, suspenseful as it would have been, had we not known that he will succeed. I can’t tell you more without spoiling it. Let’s talk about the faults of the show now. It’s really serious. Criminal Minds has just a tidbit of humor, which is why it has lasted this long. But, imagine this. You come home from a long, grueling day of work, and there are two shows currently playing. A Big Bang Theory marathon, or the new episode of Golden Boy. 80% of people will choose the Big Bang Theory marathon. So, this show is at a big risk of being cancelled. This show is not perfect. Yet, the good parts about this show outweigh the bad parts. So, I suggest you give this show a try and see if you like it. It is fresh and unique, much like the Following. In this day and age, we must treasure unique shows, lest we end up with remakes of JAG (good show, though), MASH, and NCIS. I hope this show does well. Give it a shot. I’m holding off on writing reviews of movies for a bit, since I’ve found myself rather occupied on some life stuff. I do have the time to review shows, though. 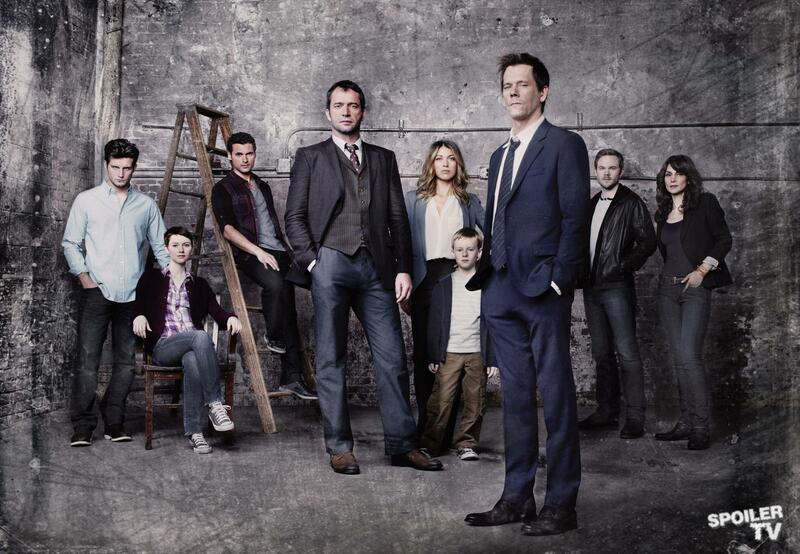 The Following is Kevin Bacon’s new series, and the first episode aired yesterday. I just finished watching the Pilot episode a few minutes ago. I’d heard about this show back when there was no summary on its IMDB page, and from the poster, I assumed that it was going to be a buddy cop dramedy. Standard stuff, really. I’m a real fan of crime shows (or detective shows) and I was perfectly fine with the idea of watching yet another buddy cop show. But, that’s not what I got. As you can see, the Following is about a brilliant serial killer with a devoted following – if you will – and Kevin Bacon plays a former FBI Agent who’s on disability after a tussle with said serial killer, Joe Carroll. You see, Kevin Bacon was stabbed in the chest, and his heart was damaged severely. Since then, he’s been forced to wear a pacemaker to keep his heart ticking and he’s currently living off on the royalties of his true crime novel about Joe Carroll. The episode begins with Joe Carroll’s escape after the gruesome murders of a few prison guards. At this point, I realized that this would not be standard at all. In White Collar, the Pilot begins with the main character – Neal/Neil – escaping from jail. He eventually ends up as a consultant to the FBI’s white collar crime division. Somehow, I don’t imagine this will work out much the same way. The episode relies heavily on sound and flashbacks. The use of Kevin Bacon’s heartbeat is used to great effect (after all, his heart is weak), and the show utilizes incredibly loud sounds in an attempt to shock you. There’s a scene, for example, where a character is looking into a mirror while having a flashback. There is literally no sound. Suddenly, a man in a suit appears behind her, and the typical horror movie BAM resonates as she jumps into a closet. It’s not really a bother, but it’s worth mentioning that you won’t have ground breaking new techniques of shocking the viewer in this. There’s also a scene where Kevin Bacon crawls through a crawlspace in a closet – without a weapon – while the sturdy FBI Agent follows behind him. Call me insane, but this doesn’t strike me as terribly realistic. Here we have a man who hasn’t been an active field agent for over eight years, whose heart could give out any second, and he’s on point? With no weapon? Doesn’t strike me as overly realistic, if you ask me. The show’s portrayal of FBI agents and detectives also falls victim to the “Sherlock” Effect. Everyone is literally incompetent – except for either the love interest or the sidekick of the consultant – and the consultant guides them through every little thing. It happens on several shows where they utilize the “consultant” angle. Castle managed not to make the detectives totally incompetent, same with the Mentalist, but… I’m afraid only one of the characters – the great admirer of Bacon’s character – really stood out as someone not completely… Stupid. I guess we’ll see, though, right? I can’t really fault a show for not showing enough character development in one episode. They’re not miracle workers, but it’s worth mentioning. The show also uses a fair bit of literary name dropping. The serial killer, portrayed by James Purefoy, is a great admirer of Edgar Allan Poe and the romantic period. I don’t get it, to be honest. I was always more of a Lovecraft kind of guy, who was inspired by Poe. My sister, though, posses the Complete Works of Poe while I possess the Complete Works of Lovecraft, so it’s pretty even in our household. The acting of the serial killer is pretty decent. Like I said earlier, the show uses a lot of flashbacks, and the flashbacks involving the serial killer says a lot about his character, even though we don’t really see anything from his perspective. I wager the writers of the show are saving an episode told from his perspective till later in the season. 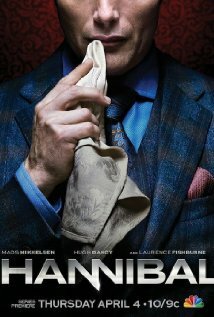 I don’t think they would have scored well among viewers if they’d told it entirely from a serial killer’s perspective. And yes, while I know Dexter does the same, they are not on Showtime. Lots of parents would complain about their children accidentally stumbling into a scene where a serial killer is portrayed as sympathetic. No. I don’t think they’ll be doing that until the show has been renewed for a second season. Now, what about the mystery at the heart of this show and the concept itself? It’s honestly great. It’s original, and somewhat unbelievable ( at times ), but it is entertaining. Again, I said they used the sound of Bacon’s heartbeat to great effect. At times, I really did feel tense, and it was only heightened by the echo of a human heart. It’s also no doubt a nod to Edgar Allan Poe’s telltale heart (however farfetched or discreet they make it seem) and the episode was very well directed. All in all, this is a serious show. Deadly serious. But is it good? Why, yes, it is. The concept is original, the tortured character of Ryan Hardy ( Bacon ) is great, and even the serial killer is… Interesting. There was a scene near the ending that I thought was rather stupid. You see, they identified an “apprentice” of sort of the serial killer, and they had his name and picture. The problem with most serial killers is that the police do not know what he looks like, making it very difficult for the public to keep a proper and watchful eye. I mean. What if your neighbor is a serial killer? If a news anchor or police officer asks that, then the public will panic. But show them the face of the killer, and you see the people unite and watch out for one another. So, I thought it was rather stupid. Now, it could be that they showed it in the News, and the victim didn’t see that segment, but I find that hard to believe. Ahem. That may have been slightly exaggerated, but you do get my point, right? The last ten minutes of the episode, though, was spectacular. Loved it. That scene wasn’t enough to stop me from being enthralled in the last ten minutes, and the encounter between Ryan Hardy and Joe Carroll was awesome. So. Final verdict – this is a great show. I haven’t come up with a rating system for shows yet, but for now, let’s call this a 7.9/10. It’s serious, it’s thrilling, and it’s original. Should you go in expecting the Good Guys, Castle, Burn Notice? Nope. I wouldn’t even say to expect the Mentalist or Criminal Minds. But expect an interesting new show, and you’re cool.